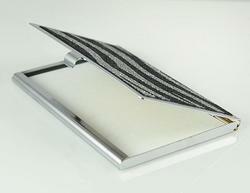 AB118: Zebra Business Card Holder or Credit Card Holder. 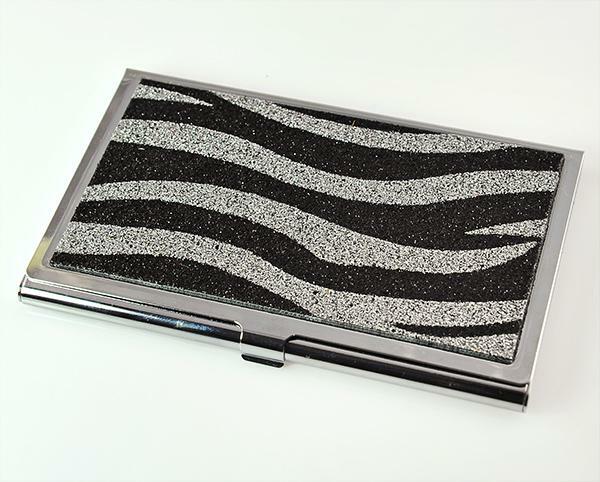 Zebra Business Card Holder holds approximately 20 cards . 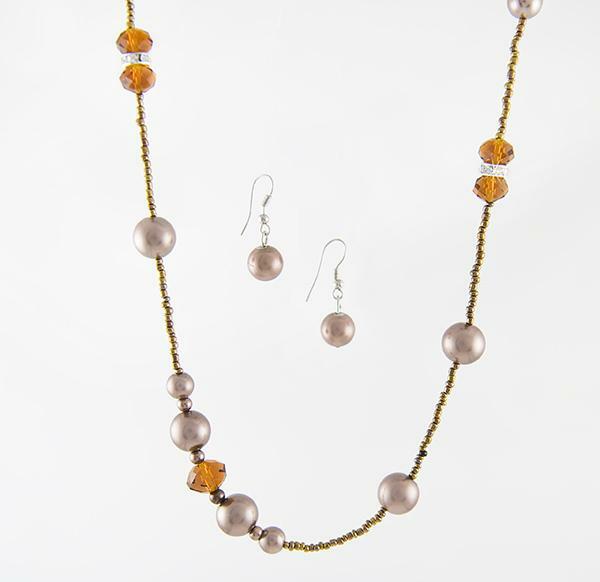 Set in a silver finish. Makes a petite clutch for those elegant evenings.